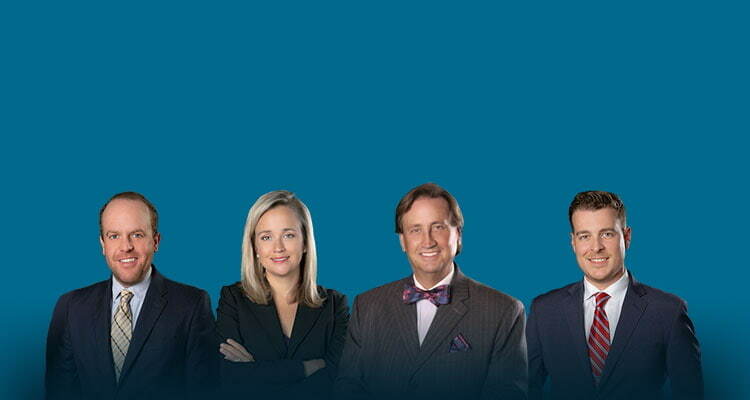 Have you recently been charged with DWI in North Carolina? Did a police officer ask you to perform a field sobriety test known as the one-leg stand? While it may seem simple enough, performing field sobriety tests, in the “field,” can be substantially more difficult than you might imagine. The three primary NHTSA Tests, as lawyers often refer to them in North Carolina, are the One Leg Stand, the Walk and Turn, and the Horizontal Gaze Nystagmus. Instruction Stage – Stand with feet together and arms at side, don't move from this position until told to do so. NHTSA certain individuals over 65 years of age, back, leg or inner ear problems, or people who are overweight by 50 or more pounds had difficulty performing this test. Hi there. This is Bill Powers and I want to thank you for checking out our website. This particular page we’re talking about the one leg stand test. It’s involving normally driving while impaired, driving under the influence of an impairing substance, whether it be alcohol or some other impairing substance both legal and illegal. You may want to check out my other pages and content here on the website involving the horizontal gaze and the stagmus. That’s the eye test that we call that HGN or the one leg stand. We also have content regarding the standardized field sobriety test as promulgated by the National Highway Traffic Safety Administration. 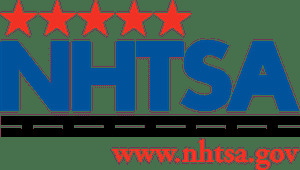 That’s NHTSA, the acronym, National Highway Traffic Safety Administration. I want to talk to you a little bit about the one leg stand which is it’s own test, but it has to be taken in consideration with what we call a battery of tests or an overall examination of driving while impaired. The one leg stand can be used for multiple different purposes. I like to bifurcate, that means split it up into two sections why and when the one leg stand is done. The first reason is to make a determination by a law enforcement officer, a person normally on the scene, to try to figure out whether or not you are appreciably impaired for the arrest decision. 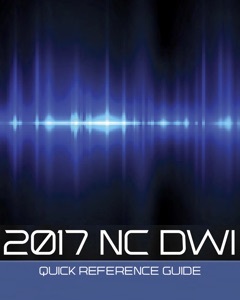 To try to make up their mind whether they are going to arrest you or charge you with driving while impaired in North Carolina. For the record, they do not technically have to arrest you for driving while impaired. They can issue a citation. As a practical matter, we tend to see that more than just issuing a citation. The exception being maybe an accident case or hospital case or one where there’s a serious injury by the person who’s driving the car who happens also to be charged with driving while impaired. The second big area that the one leg stand is used in is regarding determination of guilt as to the factual basis in an officer’s opinion as to whether or not you have consumed a sufficient quantity of some impairing substance to appreciably impair your mental and/or your physical faculties. We use it to determine, as I said, the mental and or your physical faculties. And we use the term, as I said, appreciably impaired, meaning noticeable. So it could be used in court a lot, we talk about the standardized field sobriety test as to probable cause, but that doesn’t meant they’re ignored for the purposes of reasonable doubt. And it’s the same test, and it’s the same standard. Now standard is an important word, because these tests are said to be verified. Meaning they’ve conducted studies on this, and they show a relative level of accuracy. When I say “they”, they’re different research institutes, often times here the Colorado Research Institute, or Florida studies, things like that. They’re different agencies, both federal and state that have studied different dexterity tests, heck if you may remember years ago we used to do the finger-to-nose, we’ve gone the Romberg swing and balance, different things like that. I think you get the point. What we’re trying to do with the one leg stand is use a series of standardized protocols in how we instruct a person to do the test, perform the test and watch what they do when we instruct them both for mental cues and physical cues to see if they can stay on task, to see if they can follow directs, to see if they have balance issues and to see the effects of alcohol on the body. So, on the one leg stand, this is across the country, the “One Leg Stand Test” I don’t care if you’re in North Carolina, South Carolina or Timbuktu. If it’s a NHTSA protocol, a NHTSA training type test, there are four clues. The four clues, generally speaking, we’re looking for balance issues. So, are you keeping your foot up? Are you pointing your toe correctly? And they instruct to do a certain number of inches above the ground. By the way they occasionally change these tests, so if in the past you’ve heard one thing or another, it may have been updated. For example, in recent updates in some of the manuals they talk about pointing your toe, whereas in the past it wasn’t necessarily, you may have been trained that way, but that wasn’t necessarily part of the protocols. Six inches tends to be a protocol. And so we’re looking for things like do you point your toe and keep it up? Do you put your foot down? Do you hop? Do you use your arms for balance? And so while there may only be four of these standardized clues, and on the verification studies for a certain number of indicators of the main four, there’s a higher probability or chance of the person being appreciably impaired. And I’m speaking generalities, there are some very specific clues here, but I’m trying to explain the process to you, generally and maybe you can jog your memory a little bit. And count by a thousand, or you know “one thousand one, one thousand two, one thousand three until I tell you to stop.” They’re looking for approximately thirty seconds, and the police officer is timing. And so they want to see if you start too soon, if you put your foot down. Are you hopping? Are you using your arms for balance? Do you miscount? And are you swaying? They’re looking for a host of different things, a whole host of different things, even though there’s only four technical clues. Now the one leg stand test is, like I said, a part of a battery test. It’s one of the three main tests that officers, they don’t just look at individually they look at collectively. Meaning, in totality. So we see cases where a person can do the one leg stand relatively well, maybe only show one clue, which would, presumably following the studies, be not necessarily indicative of impairement. But they have great difficulty doing the walk and turn. Or the heel to toe, which I’ve explained in another video. So you’ve got those two type of main tests where we’re looking for balance issues and instructional issues, and then we’re looking at the horizontal gaze nystagmus, which is in large measure a test of the autonomic nervous system. Involuntary neural muscular reaction of your eyeballs and how it reacts to the stimulus of a finger or a pen, or a light pen, whatever they’re using. Ah boy! It’s complicated as you can probably see, it’s … There’s a lot of specific factors we’re looking at, we’re looking at road conditions, we’re looking at things like, is there a slope? What degree of angle is on the roadway? And are there particles on the roadway? What type of shoes are you wearing? Are you barefooted? We see cases where someone is wearing flip-flops, are those good shoes? Are you wearing cowboy boots? Or shoes with high heels? Is it windy out? Are aside a road with trucks zooming by, zoom zoom zoom you know? What are the conditions like in the performance of the test? So we want to make sure that the clues that are being observed are related to alcohol, or the consumption of alcohol, or the taking of medications or substances that impair your physical or mental abilities. And not just the circumstances, or the nature of where you’re taking the test or how you’re taking the test. And good police officers have been trained on this, they take these things in consideration [inaudible 02:26:32] formulating their opinion. The actual clues are often times discussed in court, it’s very rarely discussed, there are exceptions to this, what those individual’s clues relate to as to a numerical value. They may be the basis of an officer’s opinion as to the arrest decision. And it may be the basis of the opinion of the officer that “I thought this person was appreciably impaired.” Now remember in North Carolina there’s several different ways to convict you driving alone impaired: a numerical value, the officer’s opinion, we call it the appreciable impairment prong, and then the consumption and or use of both illegal and legal drugs that fall within the category or schedule or class [inaudible 02:27:14] opiates in North Carolina. If you have questions about this, if you were charged driving while impaired or a family member was charged driving while impaired, well then we’re gonna want to spend a fair amount of time talking about the nature and circumstances of these dexterity tests. Were they performed? Were they not performed? If they weren’t performed, why weren’t they performed? If they weren’t performed well, what were the nature and circumstances of the reasoning for that. Well, for free consultation it’s confidential, we’re not gonna share it with anybody. 704-342-HELP. It’s help because we like helping ya. 704-342-4357, or you can email me at bill@PowMac.com. Hope to hear from you, talk to you soon. 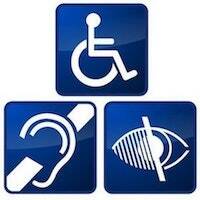 Hi I’m Bill Powers, and I want to thank you for checking out our website. You’ve obviously gotten to this page and you’re probably looking for driving while impaired, DUI, DWI type of offenses. 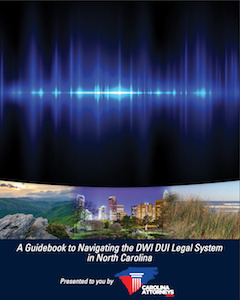 And I would encourage you to watch our other videos, check out our other materials, maybe check out one of our SlideShares on the North Carolina DWI Quick Reference Guide, which will be a link here on the website. Sometimes people … and this particular page is called the Intoxilyzer 5000, that’s actually the name of the device that we used to use. And it brings up a good point because the device that we’re using now, the machine that we’re using now for an evidentiary standard as a practical matter, and there are other approved devices and these laws change by the way, but the device we’re using now is called the Intoximeter ECIR II. EC standing for electrochemical, IR standing for infared and two, well roman number two, cause it’s the second model unit, or whatever. The older device was known as the Intoxilyzer. And it was made by a company called CMI, the ECIR is made by Intoximeters, that’s the name of their company, who actually owns now, I think, one of the other devices and they seem to be, kind of, gathering all the different devices and managing their use in different states. Realize that not all states use the same devices. Anyway, Intoximeter, Intoxylizer, Breathalyzer, which is the old term made by Smith and Weston, yeah it’s the same company who makes the guns, while we may as a culture use those terms interchangeably, they’re technically different types of devices, and they use technically different methodologies or ways of testing for alcohol. Now, these devices that you blow into, blow through too, do not test your blood. They are meant to determine through They are meant to determine through extrapolation the amount of alcohol in your bloodstream vis-a-vis what comes out of the bloodstream through your lungs out your gullet and into this tube and into the machine. You’ll hear people refer to … Law enforcement refer to it as BAC, blood alcohol content, when that’s not quite accurate. The only way to get a blood alcohol content reading is needle-in-the-arm blood. What you’re really getting is BR, breath AC, which is breath alcohol content, and there are certain scientific principles that we use to try to work our way back down, where we say for this amount of liquid blood is the functional equivalent of these amount of alcohol particles in the air of your breath. We’re extrapolating from BRAC down to BAC. We talk about things called partition ratio, that ratio of liquid to breath, 2100 to one. We talk about Boyle’s Law. We talk about the exchange of gases in open and closed systems, in standard temperatures, in standard pressures. If you’re interested in any of this, we got a bunch of this content on the website. We have a lot of papers on it and presentations we’ve made over the years. Long and short of it is, is that the breathalyzer use light to shine through a breath sample, and it measured the colors or wavelengths of light, for lack of a better term. There’s these little ampules that are kind of yellow in color. That’s how they try to figure out how much alcohol was in your breath, and extrapolate how much was in your blood from that. Then, the Intoxilyzer 5000 came around, and Intoxilyzer 5000 used infrared. It was a cylinder, about the size of a … Maybe a hand towel, paper towel roll. It had a light bulb on one end. It had a wheel on the side. They called it a chopper wheel, and it had different shades of filters on it. It would measure wavelengths of energy. You blow into this device, they’d shine up infrared light through it. They would measure the light with a receptor, like electric eye. I’m using very big, gross macro type of terms for purposes of explanation, but they would measure the light going through unimpeded. They’d come up with a number, and then they’d blow your breath in there and alcohol, the substance of ethanol, ethyl alcohol, they’re the same thing, would absorb a certain amount of the energy of the light. Thereby, they were looking at three different areas and they’d be able to determine the concentration of alcohol in your breath again. Fast forward to … Oh, gracious. We’ve probably been using it 10 years or more now. The EC/IR II, which uses IR infrared, what I just talked about, and the EC, which is electrochemical. It’s electrochemical fuel cell. Very similar to the fuel cells that we use on a handheld device on the side of the road, and even the bracelets on the ankle. I’ve got to stop pointing to my wrist when I talk about ankle, but I think of it as a watch of sorts. Now, for evidentiary purposes, the EC/IR II is the one we see in North Carolina. Now, that numerical value that’s pumped out on little piece of paper, the skinny sheet of paper, it comes from the fuel cell reading. It does have infrared in it, but it doesn’t necessarily, so we’re told. We’ve tried to get the source code on this, but we haven’t been able to. But we’re told that the infrared aspect of the EC/IR II, the IR portion of it is just measuring for mouth alcohol and to confirm that there is a good, clean reading as opposed to the alcohol coming from something else other than your lungs. It’s really complicated. It’s something a little bit dorky like me that enjoys the science behind it. I enjoy the science behind knowing the ethanol molecule and how the hydrogen reacts to the fuel cells and all of that. Sometimes it’s relevant. Sometimes it comes into play in DWI cases. Sometimes it doesn’t. The state of North Carolina, in my opinion, is technically, or has purposely made challenging the breath testing devices very difficult. There are defenses to it, but it’s very, very complicated. It’s very, very, difficult and it takes a lot of work. I don’t think people realize the level of science that we’re getting down to, where we’re literally talking about molecular levels and atoms and how the sensors pick up things and measure things and to decide what’s an accurate read or not. Give us a call, 704-342-HELP. Heck, if you want to take a look at the machines, I got all of them here. You can take a look around and I’ll show you what the old-fashioned breathalyzer looks like versus the EC/IR II and the Intoxilyzer and even the other devices that other states use. It gives you a good framework and understanding of the science and the law and the technology, which DWIs are, I like to say, a perfect storm. Telephone number, 704-342-HELP, and I look forward to hearing from you.